Ireland is wealthier than ever! It’s all good news from Ireland this week. Ireland is not only the richest it has ever been, but you can get there even quicker! 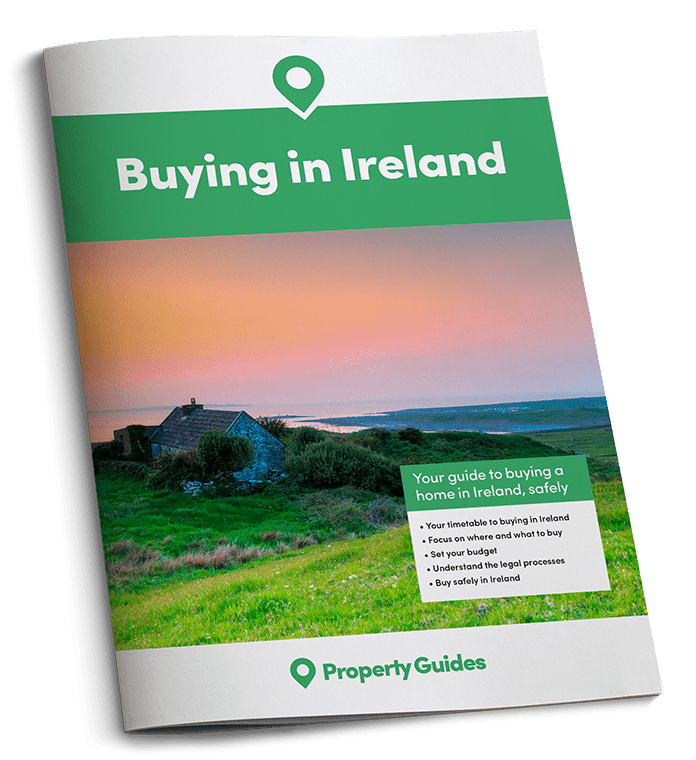 Read about the property market in Ireland, and new travel opportunities. It’s not all plain sailing, however, as the IMF warns about a property bubble and Ryanair says Brexit could ground its planes. According to Ireland’s Central Bank, Irish households are now wealthier than ever before, even during the days of the “Celtic Tiger” boom of the noughties. The reason? The success of the property market in Ireland. The Central Bank revealed that during 2017 the net worth of Irish households rose to a record-breaking €727 billion. Prior to this, the record had been reached in 2007, when the net worth was €720 billion. To calculate the net worth of each household the Central Bank took the sum total of the Irish property plus household’s financial assets, and then subtracted liabilities. The average Irish person’s net worth now stands at €151,657 (£133,000). The latest surge to these figures came in the final quarter of 2017 when it increased by €15 billion. Half of this increase is attributed to rising Irish property values. At its lowest, Ireland’s net wealth fell to €430 billion in 2012, mostly as a result of the financial crash, unemployment and mortgage arrears. The last five years have seen net worth leap by 69%. Ireland’s Central Bank states that two thirds of the increase seen in that period is due to rising property values. But… is property market in Ireland overvalued? Earlier this month, the Washington-based International Monetary Fund, issued a warning about Ireland’s burgeoning property market. It stated that residential property prices appear to be ‘modestly overvalued’ and call for ‘close attention’ to be paid to the growth of the commercial property market in the country also. What has caused the Irish property market to recover to its pre-crash days? The surge in property prices and rents is due to a number of factors, including full employment and a serious housing shortage. Speaking on behalf of the IMF, Erik de Vrijer was quick to state that Irish property hasn’t yet hit “overvalued” territory. Indicators are beginning to point that way, however. Irish property prices rose by 12.7% between March 2017 and March 2018. The IMF recommended that the Irish government do not cut taxes in the 2019 budget in October, as this might “overstimulate” the economy. Data published in May showed that Irish property prices rose by 12.7% between March 2017 and March 2018. This makes a 75% increase since 2013. The surge in prices has been most extreme in Dublin. Property prices in the capital are up 91% since 2013 and 14% since March 2017. 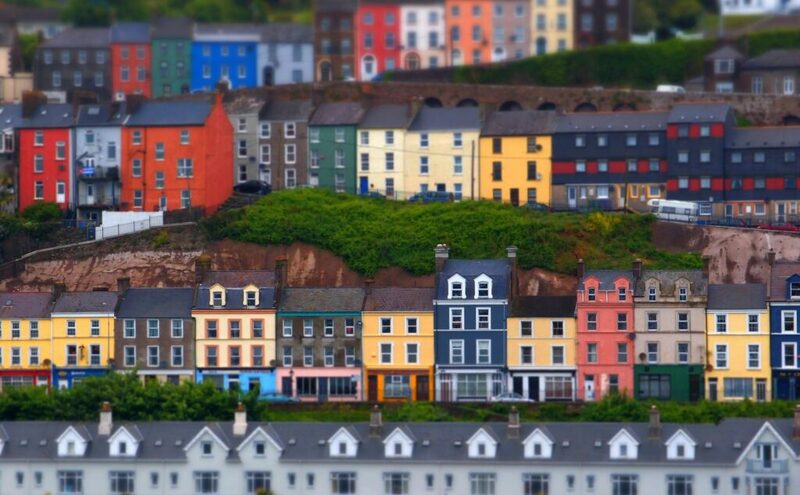 The IMF urged Ireland to build more homes to handle the country’s rapid economic growth. However they also asked Ireland to protect borrowers from over-enthusiasm in case of a potential economic downturn. The IMF suggested new controls on loan affordability and switching to debt-to-income mortgage caps for borrowers rather than the current system, where loan-to-income caps are more common. Don’t get ripped off! With prices rising so fast, ensure you’re getting a bargain with our guide: How to Negotiate Abroad. Good news too, if you’re heading over to Ireland for a viewing trip. Ryanair has announced three new routes between Ireland and London as part of its new schedule for the winter of 2018. From London Gatwick, there will now be seven flights to Dublin, three flights to Belfast and one each day to Cork and Shannon. Irish ferries will now bring you to your property in Ireland even quicker! Good news too, if you don’t much like flying (or Ryanair). Irish Ferries has launched a new high-speed craft to join its fleet. 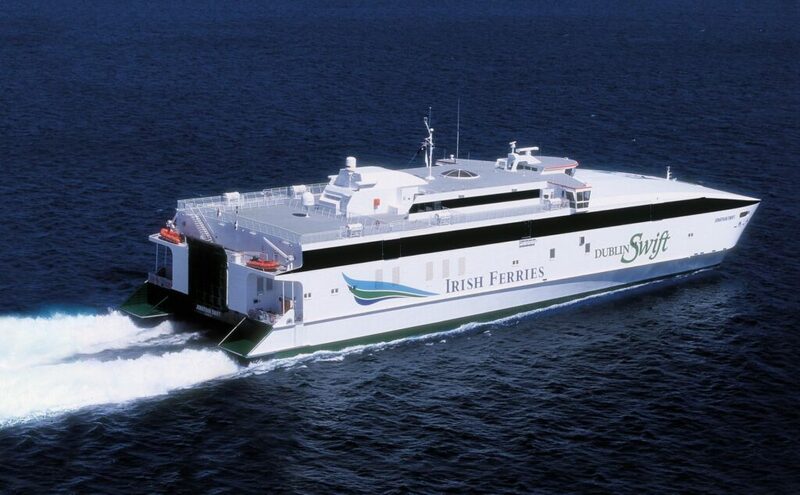 The Dublin Swift will whisk you from Holyhead in Wales to Dublin in just two hours. It will be the largest fast ferry crossing the Irish Sea, taking up to 220 cars and 820 passengers. There will be twice daily return sailings on the route. The craft isn’t just bigger and faster. Irish Ferries has jazzed things up inside too, with better décor, entertainment, shopping and catering. Passengers can expect to enjoy free WiFi, a TV snug, completely redesigned menus, cafeteria, self-service restaurant and a games area.